Government contracts are a primary focus of many businesses in the Washington D.C. metropolitan area. Contracting with local, state and federal governments is typically accomplished through a bidding process intended to secure for the contracting government entity the best possible terms and prices. “Typically” is by no means invariably. Many government contracts are awarded on a “sole source” or a “set-aside” basis. Set-aside contracts award funds set aside for special characteristic entities, such as businesses that have been certified as owned by disadvantaged individuals (“disadvantaged business entities” or “DBEs”), including women-owned businesses (“WBEs”) Often a request for proposal will include a requirement that some portion of the funds to be paid will be paid to subcontractors that are eligible for set-asides. As to open-bidding contracts, the request for proposal (“RFP”) is usually the subject of pre-solicitation consideration that fixes various terms and conditions through notice and comment processes where interested stakeholders urge various terms and conditions favorable to their interests. Our attorneys have represented private clients and trade associations engaged in this public notice and comment process. E.g.,  But beyond public open participation in crafting the project, every well-stocked government coffer generates specialists who seek to work with the contracting agencies to develop requests for bids that match the capabilities and characteristics of the specialists? clients. In some cases, if a bidder is unaware of a request for bids until it comes out publicly, the bidder is simply not in the running. This aside, sophisticated participants in the government contracting process may hire agents who know the agency personnel and expectations and who have proven track records of winning bids, to refine bid proposals to present the best possible bid proposal. Notwithstanding these and other factors, most bidding situations still present substantial opportunities for small businesses to secure work from governments directly, through submissions of their own bids, or indirectly, through teaming agreements where a group of businesses will work together to craft responsive proposals. A teaming agreement based on a handshake or non-specific communications may not be an enforceable contract; to be enforceable a contract must have definite terms capable of being applied and enforced by a court as written. Unsophisticated potential subcontractors under such teaming agreements work on handshakes and promises of good things to come; those who have gone through this process enough know that nothing is as effective as an enforceable contract to secure for the subcontractor a defined portion of the work awarded to a prime contractor with whom the subcontractor has entered into a teaming agreement. Although governments would seem to be ideal customers, different governments and government agencies have different reputations in terms of responsiveness to contractor needs and timely payment of earned fees. When contracting with an unfamiliar government or government agency, we urge care and research so that the potential contractor fully understands the delays and problems likely to be encountered with the particular contracting entity. We work with clients engaged in government contracting to develop fair rules before the bidding begins, to insure that the terms of their agreements have teeth and are enforceable, and to assure that they are paid promptly for the work that they do. Contact us regarding your government contracting work. In connection with state and local contracts, state and local law will generally control. 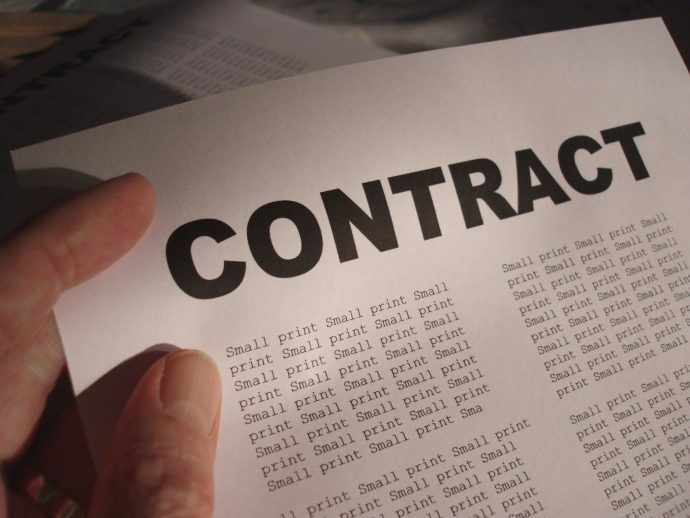 Because such laws largely have been modeled on federal law and because the predominant contracting in this region (Maryland, Virginia, and Washington, D.C.) is federal, the following offers some of key federal laws affecting government contracting. Depending on the situation, there are a host of others, such as the Anti-Assignment Act, which any competent legal advisor would know of. The Federal Acquisition Regulations, (FAR) 48 C.F.R. Chapter 1. The FAR is an extensive set of regulations that constitutes the cornerstone of federal government contracting. Its rules are quitre different in many respects from the general rules governing private contracting and should be reviewed with care. Federal requests for bids typically incorporate the FAR by reference. The Competition in Contracting Act, (CICA) 41 U.S.C. § 253. CICA requires the General Services Administration (“GSA”), a prime government contracting agency, to acquire supplies and services, including leased space, through the use of full and open competitive procedures and restricts the federal government?s ability to procure goods and services through “sole source” or “set-aside” procurement awards. The Contracts Disputes Act, (CDA) 41 U.S.C. Chapter 9. The CDA establishes a legal framework for resolving performance disputes between a contractor and a procuring agency. Under these rules, the contractor files a claim against the agency and works through its process to, if necessary, a final decision from the agency Contracting Officer. The contractor may appeal unfavorable decisions from this level to the agency?s Board of Contract Appeals or to the United States Court of Federal Claims. The Prompt Payment Act, 31 U.S.C. § 3905(c), requires the government to include in its agreements a clause providing for interest on account of late payments, and requires contractors to include a similar clause in their subcontracts. The False Claims Act (FCA), 31 U.S.C. §§ 3729-33, provides for civil actions by the government to recover damages and penalties against contractors who knowingly present a false claim for payment, use a false record to secure a payment, conspire with others towards these ends or use a false record to conceal or avoid or reduce a payment due to the government. The Acgt does not apply to tax payments. Penalties are severe; the government may recover three times the amount of its loss, plus an additional penalty of between $5,000 and $10,000 for each false document used or each false claim submitted. The FCA allows any person who knows that an individual or company has financially defrauded the federal government to file a “qui tam” lawsuit to recover damages on the government?s behalf. Qui Tam Actions, 31 U.S.C. § 3730(b)(1). Qui Tam is shorthand for the Latin phrase “qui tam pro domino rege quam pro seipse”, meaning “he who sues for the king as for himself.” This law allows a private citizen to bring an action under the False Claims Act on behalf of the United States. The citizen, called a “relator” files the complaint under seal together with a written disclosure of all evidence. The government then investigates the complaint and determines whether it will litigate the case or not. If the government declines to litigate the relator may proceed as a kind of private attorney general to prosecute the case on the government’s behalf. If the case is successful, the relator is entitled to between 15 and 30 percent of all damages recovered, the precise entitlement depending on several factors, including the extent to which the government takes over the prosecution. The Anti-Kickback Act, 41 U.S.C. § 51 et seq., prohibits contractors and subcontractors from soliciting, accepting, or attempting to solicit or accept kickbacks from their subcontractors. This statute is intended to prevent a contractor or subcontractor to receive money in exchange for the award of a subcontract without going through a full and fair competitive process. The Act provides for both civil and criminal sanctions, depending on the nature of the violation. This post was written by Eric-Eisen. Published October 6, 2016 .